Bringing the outside in, Smart aluminium bi-folds can transform any property with their innovative folding functionality. They comprise of a modern, intelligent and innovative design to enhance any home. We offer our designs across Kent, Maidstone, Sittingbourne and surrounding areas. The leading design incorporates multiple leafs, which open fully inwards and outwards to create more space, and you can full stack them from left-to right, right-to-left, or from the centre for ultimate control. They are sure to be the perfect addition to your home across the board. Guarantee yourself satisfaction, today. Aluminium bi-fold doors allow an influx of light to flood homes and illuminate further space around it. This is due to the large, wide glazed areas provided, thanks to a slimline aluminium frame and fully-foldable configurations. You’ll be able to enjoy a new addition to your home that brings increased light and space. Buy-Right specialises in affordable, high-quality aluminium bi-fold doors, utilising the impressive profiling system of Smart Visofold 1000. This is a thermally-broken design, which offers strength and thermal-efficiency to homes. An exceptional all rounder, our doors will prove to be a worthwhile addition to your home. Aluminium bi-folds feature polyamide thermal barrier technology, which enhances the thermal-efficiency of the frame by keeping the warmth inside of homes whilst counteracting the cold. This technology is in addition to the low conductivity of heat that aluminium provides, and Smart have cleverly manufactured its profile to be weathertight and innately weather-resistant. High-grade aluminium has been used to ensure aluminium bi-fold doors continue to perform to their peak year after year, saving you significant amounts of money. While a home stays warmer for longer, you’ll benefit from lower heating bills. A thermally-efficient home is an eco-friendly home too. While a homeowner’s central heating usage is significantly lower, carbon emissions also drop due to the carbon footprint heating systems leave. 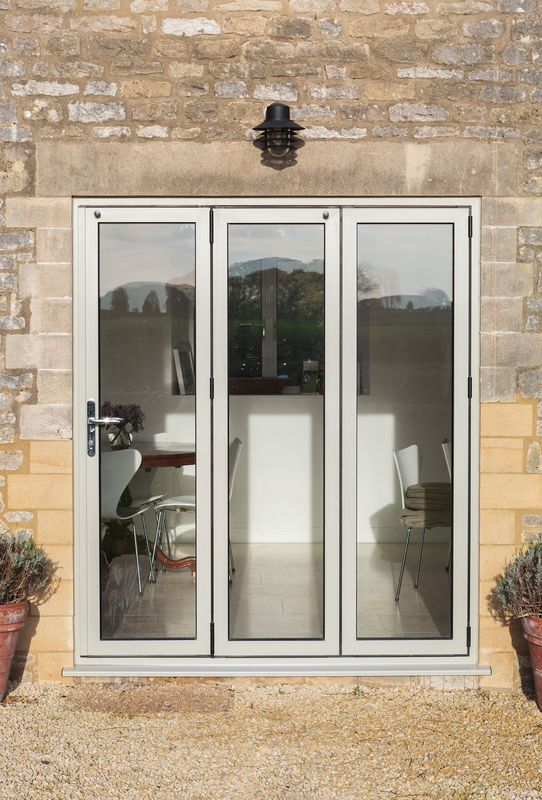 Bi-folds offer high-protection to any property, consisting of a strong, durable aluminium profile which is installed with high-security locking mechanisms. This ensures the high standard of security is maintained across the frame. Handles operate a hookbolt system and profile key cylinder, providing secure access. Its integrated hardware offers clean aesthetics and fantastic performance. Our handles are high-quality, and we offer a vast range of styles and colours too. High-quality bi-fold doors feature internally sealed units, enhancing security. Bi-Fold doors are fabricated using mitred corners, and there are square and round edge profile options available for you to choose from. Premium grade aluminium is used to ensure your aluminium bi-fold doors uphold an impressive degree of structural integrity. This means they will hold steadfast against even the most determined would-be intruders. A traffic door allows you to open an individual door without having to open all of the leafs. This provides a single door to use while the rest are not in use, opening internally and externally. They will be perfectly suited to your home, no matter the style. 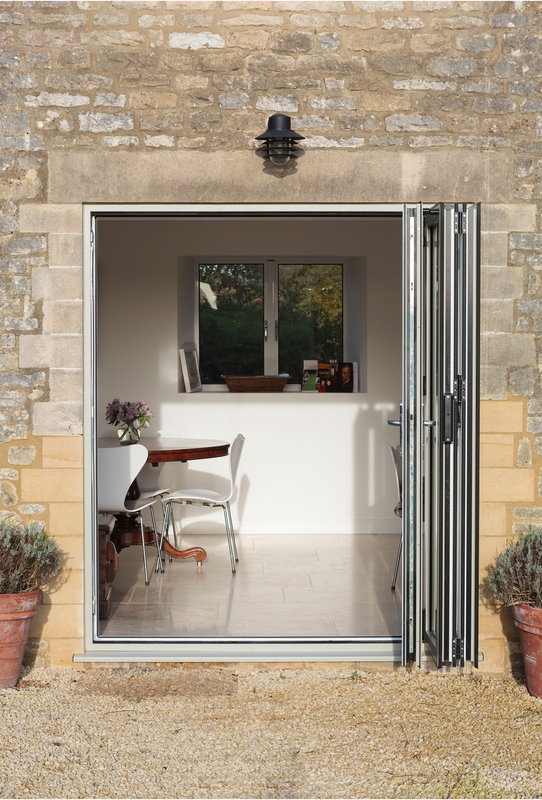 Bi-fold doors as standard open by unlocking the hookbolt system internally, which then allows bi-fold doors to open fully. A home blends seamlessly with the outdoors with this unique transition which optimises the space that you have. We offer a standard and Sensations colour range to tailor bi-fold doors to match existing architecture. Our contemporary aluminium bi-fold doors are appealing for heritage homeowners and modern alike, as they offer a timeless aesthetic. There’s an option to tailor the height and width of bi-fold doors to fit the size of a property. We offer low threshold options allowing wheelchair accessibility, or rebated thresholds for enhanced weather resistance. Our aluminium bi-fold doors are inherently strong as standard, fabricated to provide impressive functionality and all-around performance. Therefore, there’s absolutely no need to apply costly steel reinforcement. Our aluminium bi-fold doors are precision-engineered using high-grade aluminium, which provides long-lasting, exceptional performance. They are also 100% recyclable, making them an eco-friendly home improvement solution. Due to the exceptional thermal efficiency properties of our aluminium bi-fold doors, you’ll be able to notably reduce your carbon emissions throughout the year. This means you’ll have a lower carbon footprint as a result. 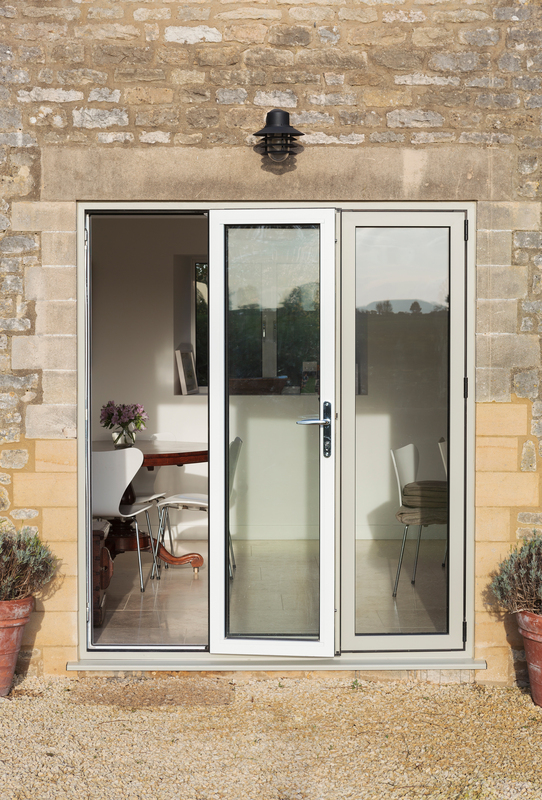 Our aluminium bi-fold doors are the latest, innovative double glazed door design. They are highly-adaptable to older architecture as well as contemporary. For doors that improve the style, performance, and carbon footprint of a home, aluminium bi-folds are the ultimate choice. We offer an innovative, online quoting engine to obtain a competitive price on our aluminium bi-fold doors, which are fully-customisable. There is no obligation to buy during any stage of this service. There’s also an easy way to connect with our team, by visiting our online contact page. Simply complete a quick, simple form and one of our team will be in touch shortly. If you prefer you may also call us on 01795 427 222.